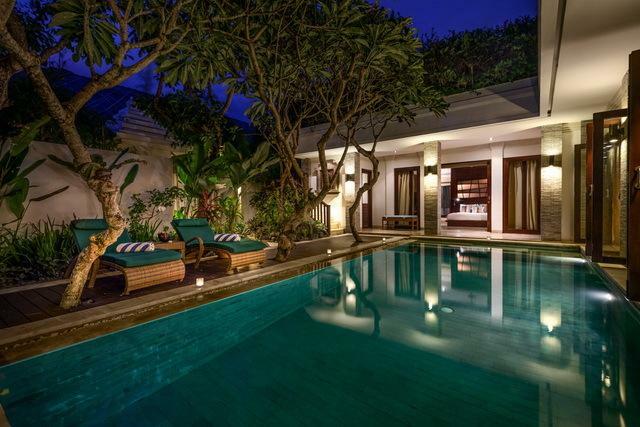 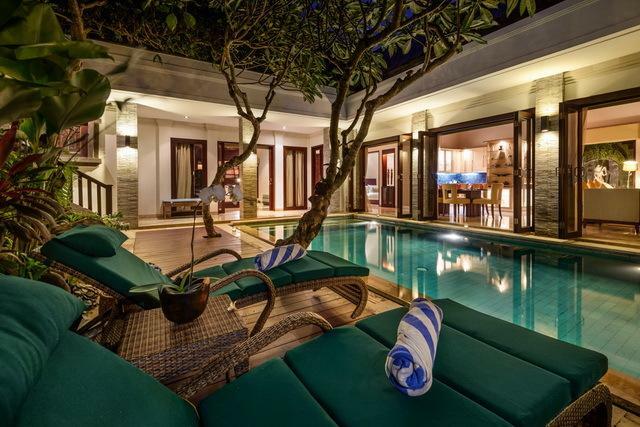 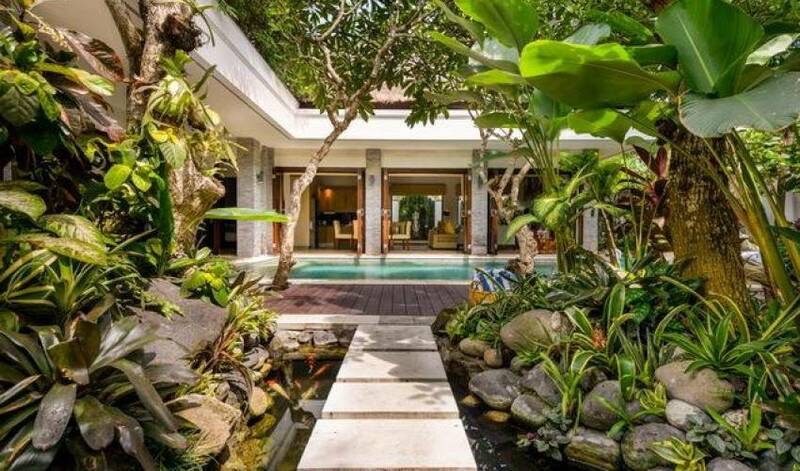 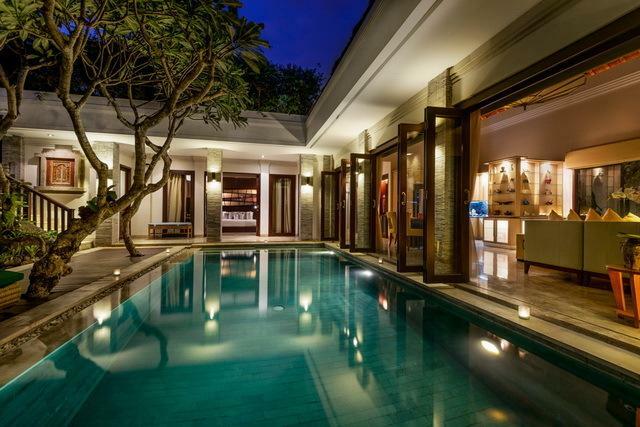 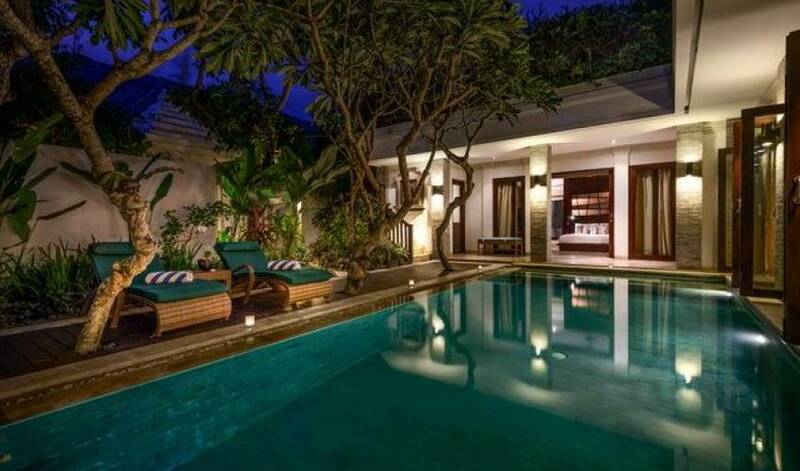 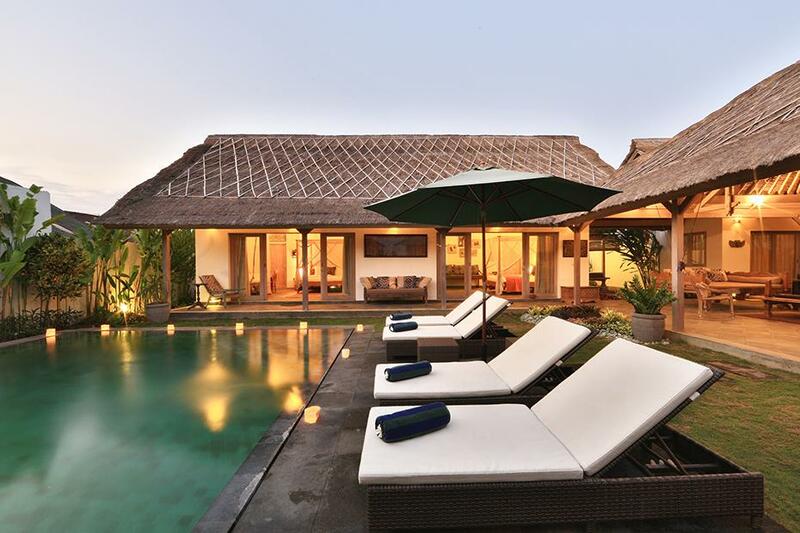 This majestic and private three-bedroom garden oasis is the perfect place for a tranquil and traditional Bali experience, light-filled and breezy with indoor and outdoor dining and fully equipped kitchen. 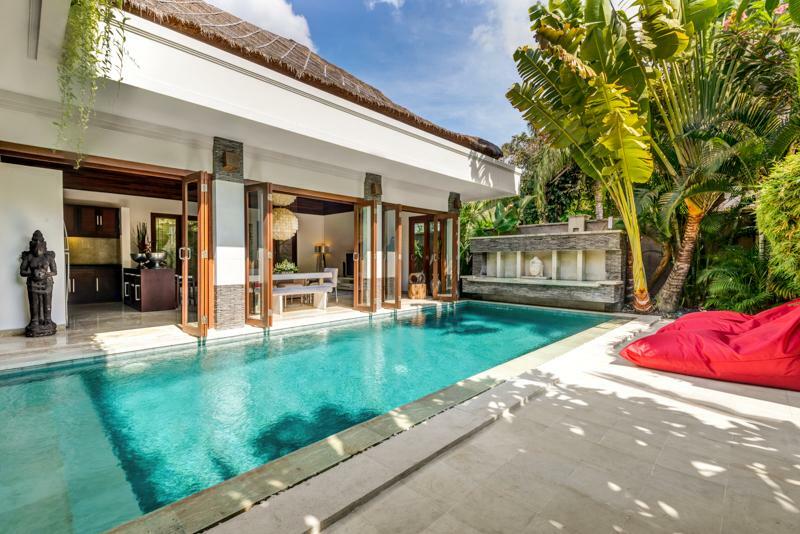 Find peace in the opulent 8.7 x 3.6-metre swimming pool or breath your own way in the private Balinese style outdoor gazebo area. 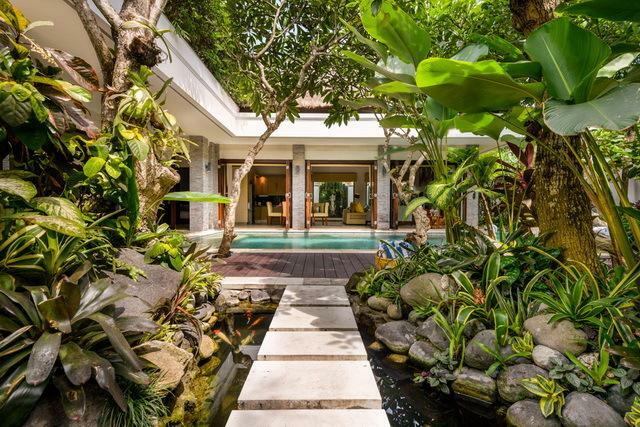 This zen and the tranquil garden rich with birds, a waterfall feature and deep purple bougainvillaea. 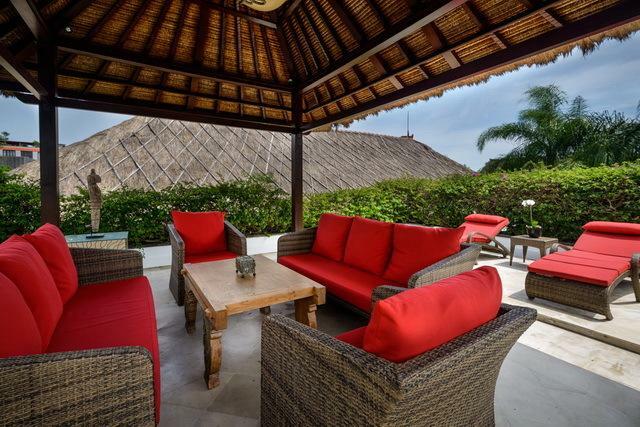 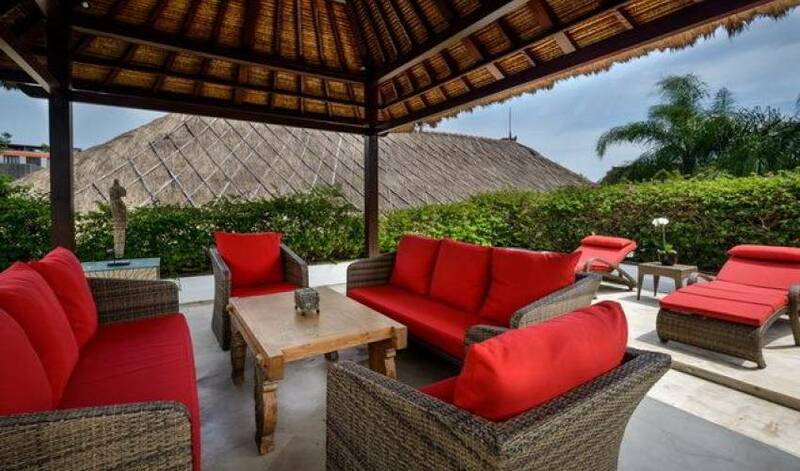 The villa has three bedrooms all have air- conditioning and ceiling fans. 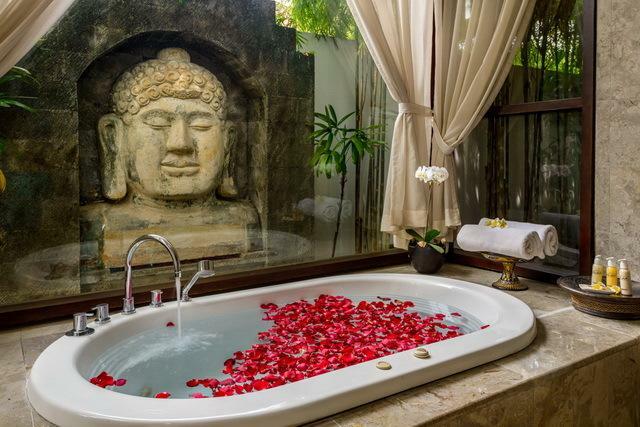 The master suite has a king-sized bed and ensuite featuring a luxurious Jacuzzi with courtyard garden. 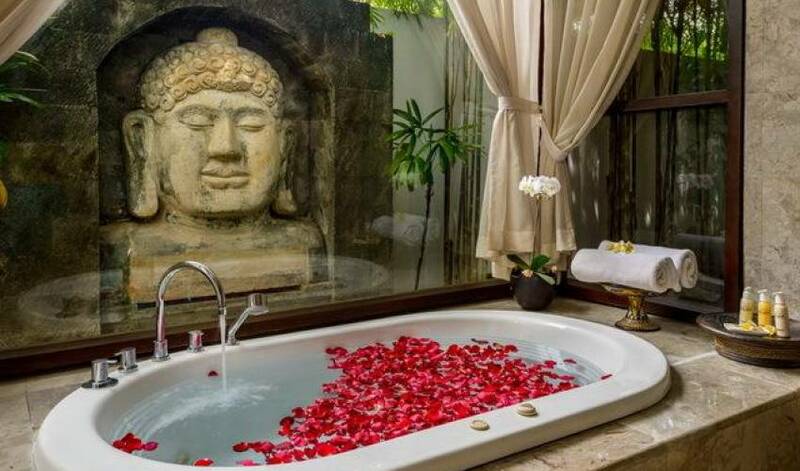 Complete with DVD player and TV. 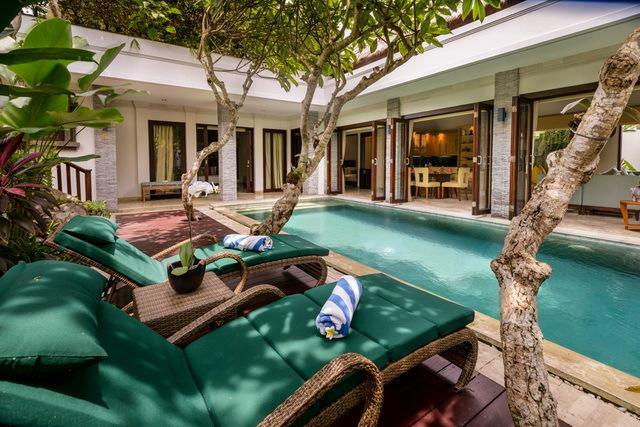 Bedroom two has a king- bed and ensuite with garden views, the third room can be used as a study or can be utilized has with fold out couch and could comfortably sleep two.